A pipeline spewing natural gas into Alaska's Cook Inlet may have started leaking in December, two months before the leak was spotted from the air, according to a U.S. federal pipeline safety office. 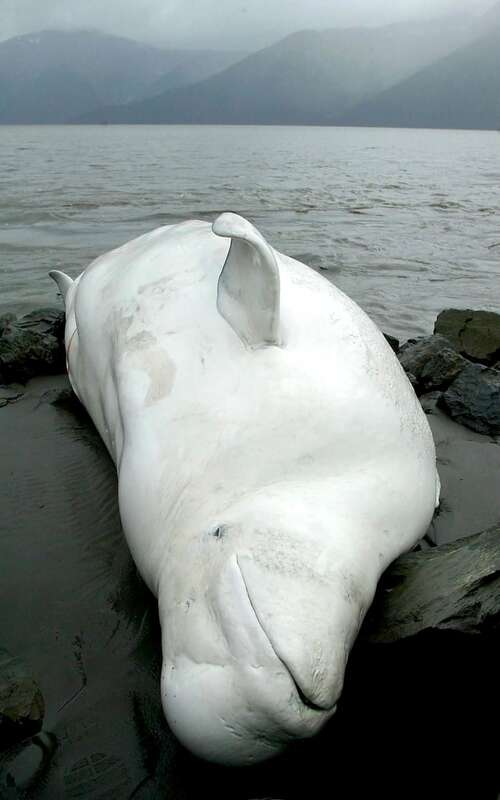 The estimate of when gas started leaking into winter habitat for the endangered Cook Inlet beluga whales was issued in a proposed safety order last week by the U.S. Pipeline and Hazardous Materials Safety Administration that the agency confirmed on Tuesday. 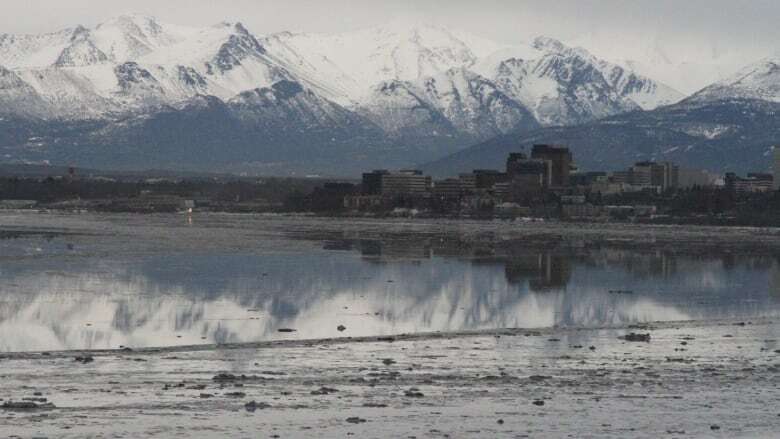 Processed natural gas continues to leak from a Hilcorp Alaska LLC pipeline that supplies four oil platforms in the inlet south of Anchorage — at a rate estimated by the company of 210,000 to 310,000 cubic feet of gas daily. A Hilcorp helicopter crew Feb. 7 spotted gas bubbling to the surface about six kilometres off shore. However, the company in late January reported that it had detected increased gas flow through the pipeline in January and started looking for a leak, according pipeline safety office's report. A subsequent analysis of gas flow indicated the pipeline likely began leaking in December, the agency said. The agency late Friday issued the proposed safety order requiring the line to be repaired by May 1 or shut down. Hilcorp has 30 days to respond. In a statement Tuesday afternoon, company spokeswoman Lori Nelson said the safety of response personnel is the company's top priority. She said Hilcorp is pleased that the proposed safety order recognizes that immediate repair is not viable. The pipeline is in 24 metres of water. Repairs by divers cannot be made in current winter conditions that include sea ice, severe weather and extreme tides, according to Hilcorp. The company told the federal pipeline office safe diving operations cannot start until late March at the earliest. Shutting the gas pipeline down is not an option, Hilcorp said. Before the pipeline carried natural gas, it moved crude oil. Without pressure in the line, seawater could enter and allow residual crude oil to leak, the company said. Hilcorp purchased the pipeline and other oil and gas facilities from XTO Energy, Inc., in September 2015. The 20-centimetre line also leaked in June and August 2014. The leaks were 38 metres apart about two-thirds of a mile from the current leak. They were repaired with clamps. XTO Energy concluded that previous leaks were caused by rocks contacting the pipe in locations where the line was not continuously supported by seabed. Annual side-scan sonar or multi-beam echo-sounder surveys conducted by the company do not detect external loads on the pipe, eroded pipe, rock impingements, metal loss, dings or gouges, the federal pipeline office said. The agency called for creating modifications to the pipe to allow in-line inspections or alternative technologies. Besides endangered beluga whales, Cook Inlet is home to salmon and other fish. Hilcorp last week said its modeling consultants conclude that only tiny amounts of natural gas likely are dissolving into the water. The company said Tuesday that based on observations so far, the natural gas release does not pose a threat to the public or the environment. In a letter Tuesday to the Trump administration, however, seven environmental groups strongly disagreed. They called for the federal pipeline safety office to issue an emergency order shutting down the line. The leak is creating a low-oxygen dead zone that threatens belugas and other wildlife, the groups said. "This dangerous leak could stop immediately if regulators did their job and shut down this rickety old pipeline," said Miyoko Sakashita of the Center for Biological Diversity. Her group is one of two that have given formal notice that they intend to sue Hilcorp Alaska over the leak.